Admission only $10 at the door or in advance at the Family Resource Center! 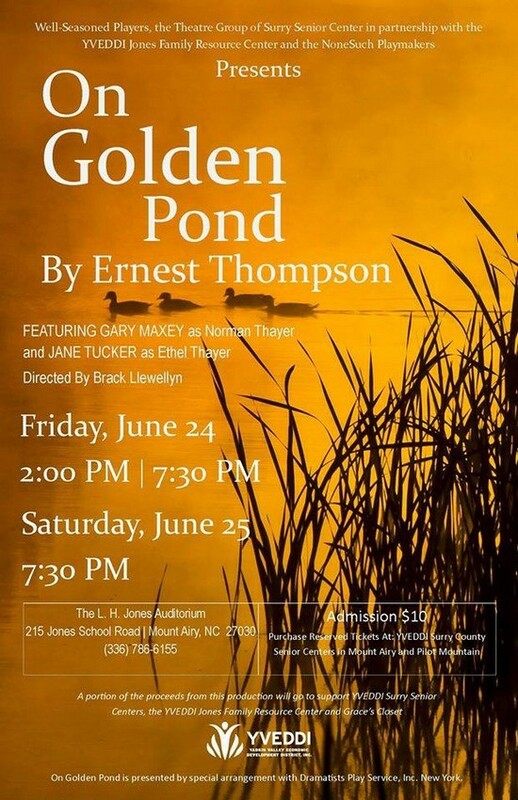 Cantankerous retiree Norman Thayer and his conciliatory wife, Ethel, spend summers at their New England vacation home on the shores of idyllic Golden Pond. This year, their adult daughter, Chelsea, visits with her new fiancée Bill and his teenage son, Billy on their way to Europe. After leaving Billy behind to bond with Norman, Chelsea returns, attempting to repair the long-strained relationship with her aging father before it's too late. 70 Performance and Rehearsal Photos!